Carnival in Fernando de Noronha. Learn how Carnival is celebrated in Fernando de Noronha. 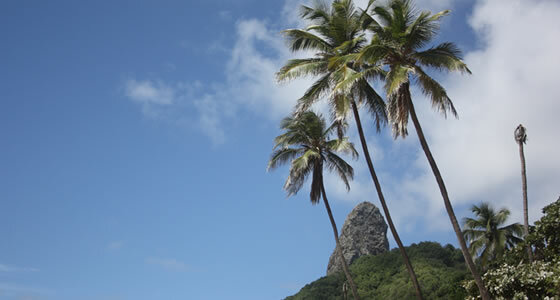 Get the tip from our local experts, learn about the package options in Noronha before you go. The tiny island of Fernando de Noronha does not celebrate carnival like the big cities of Brazil do, so this is not the place to go if you want to experience samba parades, fancy costumes, percussion groups and other performances generally associated with Brazil’s vibrant pre-Lenten celebrations. Legends and Picturesque Facts” by Marieta Borges Lins e Silva, and in 1995, this book formed the basis for the performance put together by Rio’s famous Samba group, Estação Primeira de Mangueira, which highlighted the island’s famous legends, such as the Alamoa Myth, which speaks of a seductive blonde woman who attracted people to their death and the Captain Kidd folk tale which claims that the famous British pirate hid his loot somewhere on the island.